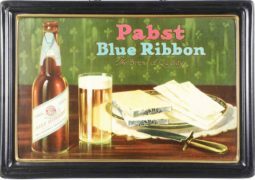 Although many historians thought Michelob was produced after Prohibition (1919-1933), this tray confirms it was a pre-Prohibition brand since it includes the date of 1898 on the tray. Only a handful of these trays are known to exist and most are not in very good condition. 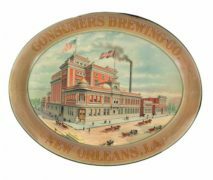 In the 1870’s, most U.S. breweries sold beer only in the community in which they brewed. 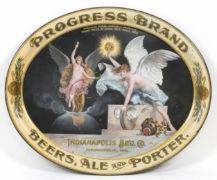 However, Adolphus Busch was the pioneer in creating a beer that would appeal to people of many origins and communities. 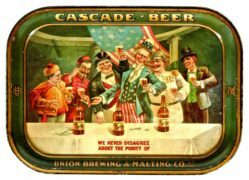 In 1876, the Budweiser brand was introduced as the company’s first national beer brand and became their flagship brand. 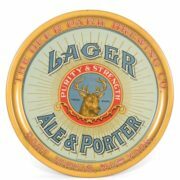 It was a lager beer that appealed to many communities and became immensely popular. 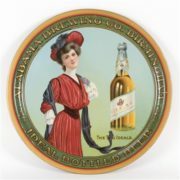 In 1896, the company also introduced its first specialty beer brand, Michelob. Anheuser-Busch used traditional and more strategic selling methods compared to competitors. 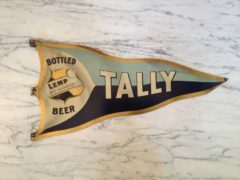 The company originated the use of pasteurization and refrigerated railcars, enabling them to transport beer longer distances without spoiling. AB also spearheaded the use of giveaways and premiums. 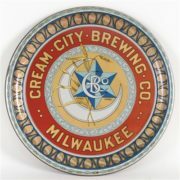 The company used the brewery as a showplace for the public to visit. 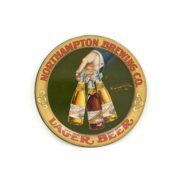 In 1901, the company’s growth surpassed the one million barrels of beer sales, establishing them back then as one of the nation’s leading breweries. As a foundation of those early innovative efforts, their success continues today.